The new year is coming, and we can’t leave you without some impressive discounts. 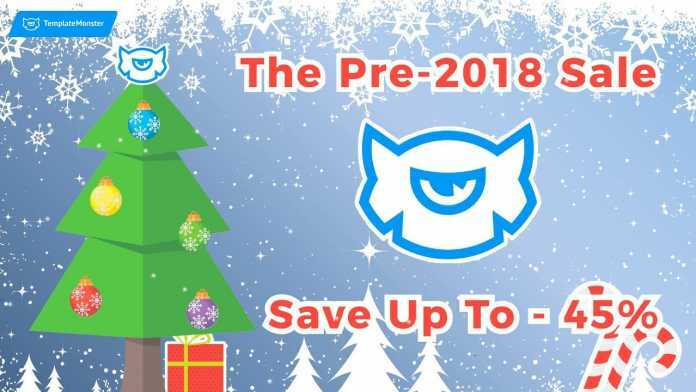 Welcome the Pre-2018 Sale, which gives you the two appealing discount options. For some products, you can save up 35%. For others, the discount skyrockets to 45%. Plugins and extensions, such as WordPress plugins, PrestaShop modules, fonts and icon sets, imagery, mockups, corporate identity sets and tons of other products. You can get the 45 % discount on all the e-commerce templates except the OpenCart ones. The offer is limited. The discounts are available just for 3 days, i.e. December 18 – 20. So, hurry up if you want to save some money on the template and build an impressive web presence in 2018. 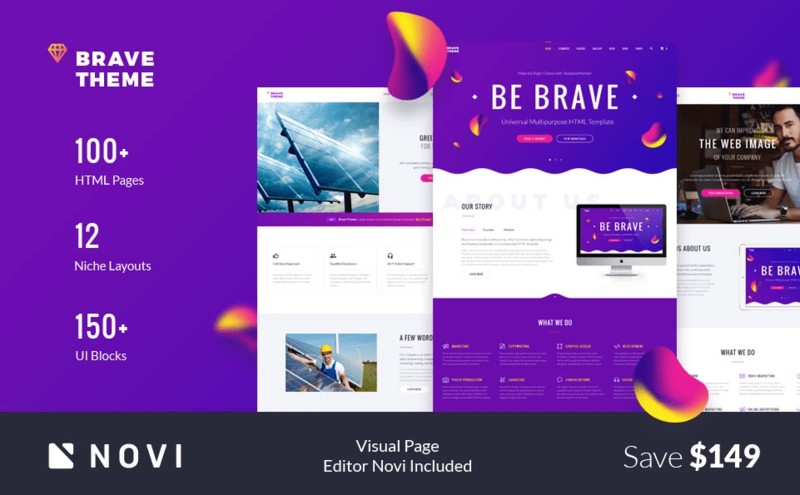 Brave is a revolutionary all-in-one website template with an optional WYSIWYG Novi Builder on board. It brings you 12 ready-made niche layouts, over 100 HTML pages, numerous widgets and the innovative flexbox grid system. Monstroid 2 is one of the most technically advanced templates that were created this year. Proving its universality, the theme brings you 9 full-blown website designs for different niches. What’s more, it has more than 20 plugins on board that account for MegaMenu creation, online appointments, e-commerce functionality, installation in 5 minutes, stunning galleries, rich social integration, etc. 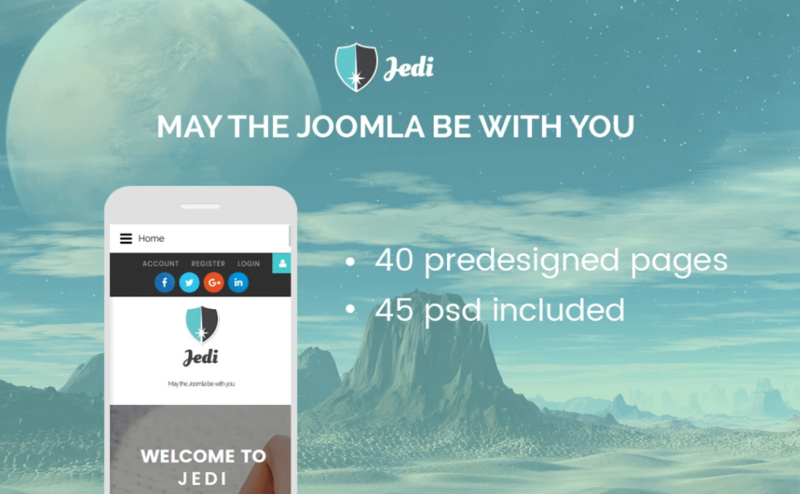 Passing on Jedi is a crime for all those of you who prefer Joomla. The Jedi theme is fast and lightweight. At the same time, it brings you the widest array of customization options among Joomla themes. For example, it brings you an amazing toolkit that lets you power event calendars, pricing tables, Parallax backgrounds, MegaMenus, newsletter subscription, social login, online chat and other functionality on the fly. 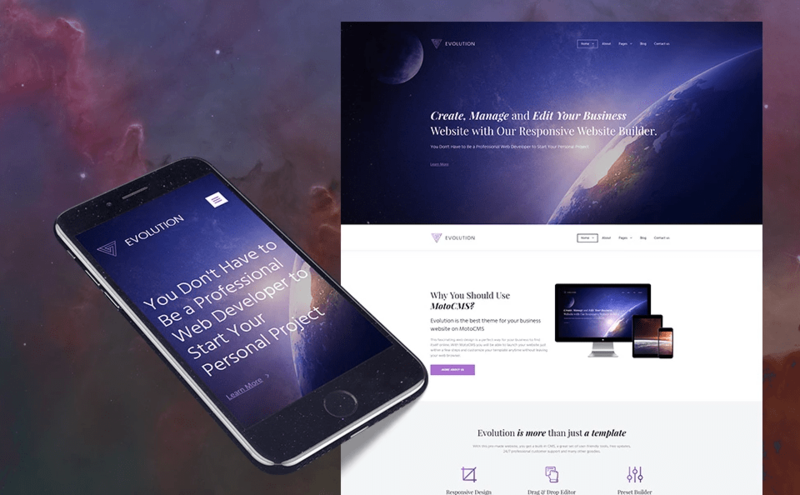 If you’re a newbie to website creation, Evolution theme will become your true time-saver. You can edit this advanced theme within the intuitive MotoCMS builder. Within it, you’ll find 120+ ready-to-use blocks, countless widgets and extended styling option that turn website customization into a piece of cake. 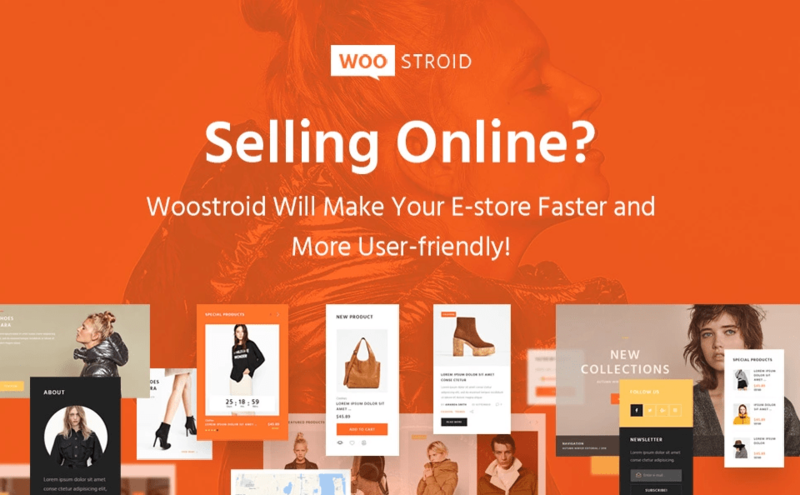 Woostroid is the ultimate solution for building an e-store that sells. 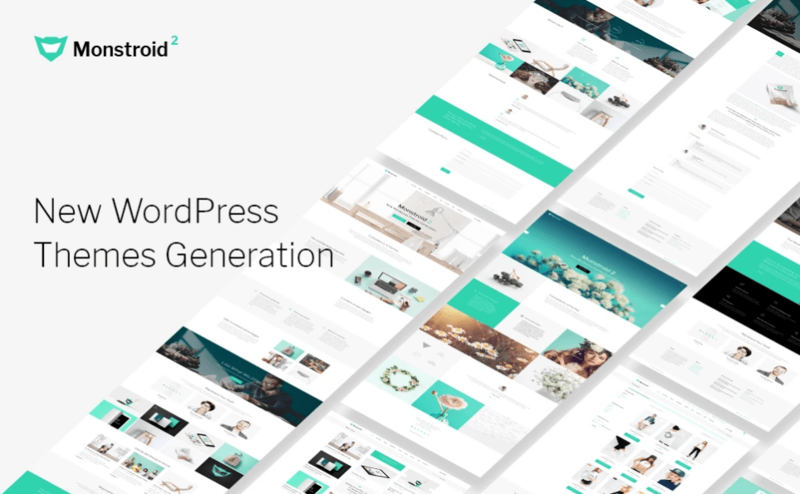 Coming with 7 niche-fitted pre-built skins, the theme lets you power your site on the fly with Live Customizer and Power Builder. Moreover, the theme provides for legible UI and friendly UX on all the range of possible screen resolutions. 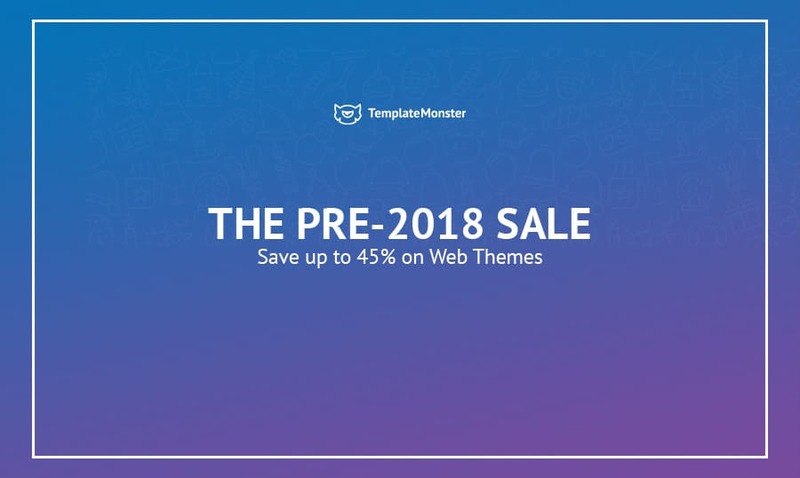 If you want to get hold of these wonderful templates with a discount, drop by TemplateMonster marketplace on December 18 – 20.